LeoVegas are the proclaimed “King of Mobile Casino” – and you cannot argue with them as they have won more awards in this category than any other casino site. Being a fairly new brand has allowed Leo to remove the shackles of the old desktop word to create a product that works perfectly anywhere you are. If you often play casino on the move or on various devices then you may love this site. This doesn’t mean that LeoVegas is a mobile only casino. In reality what is amazing about this online casino is how perfectly it works on any sized screen device. The stripped down graphics, easy navigation, clear text and easy to find games makes this a users favourite whatever method you use to play casino games through. The customer focus goes beyond the design too with a fantastic suite of titles available along with valuable rewards for regular players and a revered VIP scheme. The welcome bonus is also one of the best and most flexible, read more about this below. LeoVegas also have a good quality sports book attached with all major sports and markets, including horse racing. If you mainly play games but like to pop across from casino to sports for the occasional bet, then I can’t think of many better places to do this. 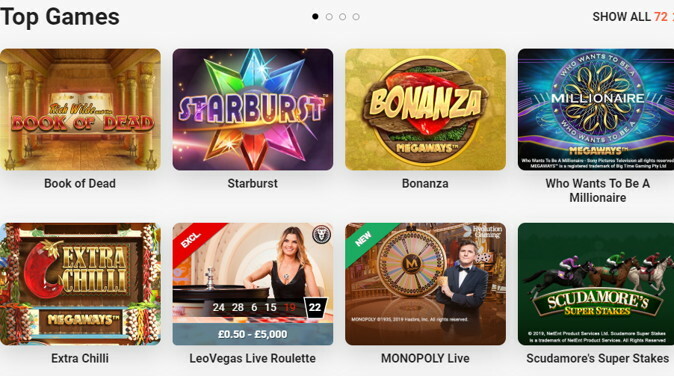 LeoVegas have over 1000 games available running on at least nine different software packages. The two main game suppliers are Microgaming (around 250 games) and NetEnt (around 200 games) with most live games supported by Evolution Gaming. All games are instant play on desktop and available through the mobile app (the best app in the business). Of course the absolute best feature of the games is how they play. With a stripped back, award winning, purely functional interface designed to work on any device, there are rarely any frustrations in trying to find what you want where you want. LeoVegas have around 30 different versions of live roulette, 20 versions of blackjack along with all the other table games you could expect form a live casino. Around half of the live games are provided exclusively by LeoVegas, the rest by Evolution Gaming, Extreme and NetEnt. This creates a superb mix of option that will rank highly with anyone that likes to play live games regularly. The VIP games section is unbeatable and the fast play area a players favourite. Due to the excellent interface and collapsible menu structure all games can be reached from the home page within seconds of logging onto the site or mobile app. LeoVegas have one of the best VIP loyalty schemes in the industry. To get involved simply opt in from your profile and you will immediately be entered in at level 1. A progress bar in the top menu shows you how close you are to the next level. As well as all the usual VIP stuff like hospitality, private banking and service and enhanced bonus offers there is also a monthly prize draw. Unlike many prize draws these are actually winnable with prizes players will actually want. Tickets to prize draws are issued based on the amount wagered multiplied by the VIP level you are currently at. Prizes are given out down to the 100th position on the leaderboard so you don’t need to be a big money player to get involved. Leo also have prizes randomly given out to players who play certain games during the week where stake, winnings and loses don’t matter. This is a very fair way to do it and means that even low stakes players can get in on the action. LeoVegas are one of the best casinos going for retention and this is a big reason why. 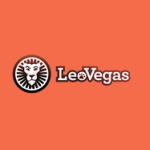 LeoVegas was created by in Sweden by two guys with an ambition to make the best online mobile casino in the world. Two years in they were already winning awards for best mobile innovations and best mobile casino from the industry. The mobile casino is frankly amazing, the interface is fantastic with every game available on the platform. The app and mobile site is vibrant, exciting, clear and ultimately useful while dispensing of any heavy graphic content. It’s just about the fastest and best app for online casino going today. From this please don’t think LeoVegas are mobile only, they are not. They have a fantastic desktop site with all games available through instant play. The site is optimised for smaller tablets and computers this means they have done away with any sidebars and they have made all games reachable from the front page. The menu systems collapse in a very useful way that means you can access the site and find any game in just one click. The site is one of the fastest in the business too. For such an established brand you might think LeoVegas have been around for years but in fact they were only formed in 2011, launching their first site in 2012. A Swedish company set up by two entrepreneurs it was designed from the outset to take advantage of the parallel rise of smart phone and tablet devices. 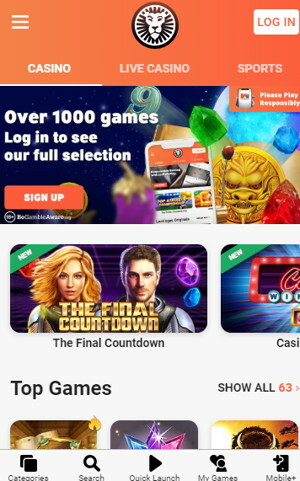 Instead of following the usual route of creating an online casino and then making a mobile product these guys made everything that they do optimised for mobile from the start. 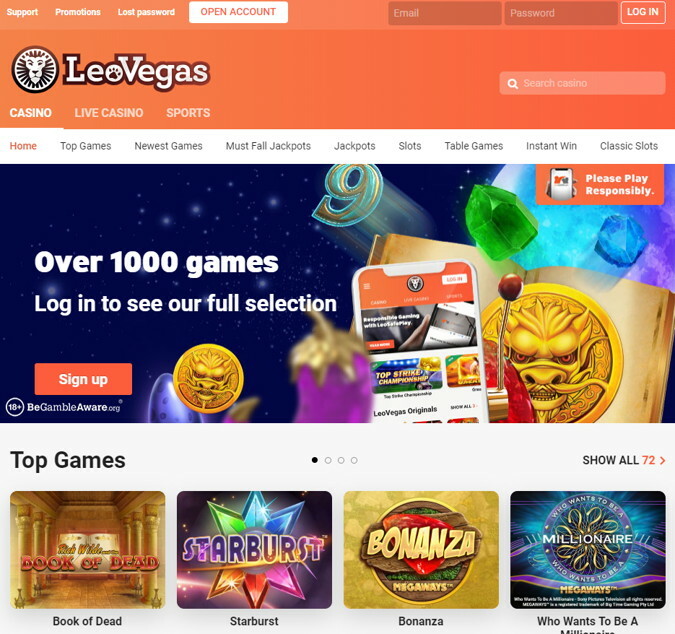 The LeoVegas brand as a whole is very user focused, giving players a fantastically easy to use package that is the primary reason that players always come back to play with them. The company is licenced under the name LeoVegas Gaming Ltd, based in Malta and are a subsidiary of LeoVegas AB based in Sweden. 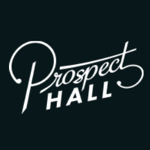 The casino also has offices and 24/7 customer services based in the UK. LeoVegas also have one of the best responsible gambling systems around allowing you to control how you play based on the parameter that matters most to you. With Leo you can set limits on deposits, wagers, losses, time and activity and even individual games.